It is a universal fact that after food, belly rubs and and digging up the garden, a dog’s favourite thing in the world is chasing balls. Tennis balls in particular. 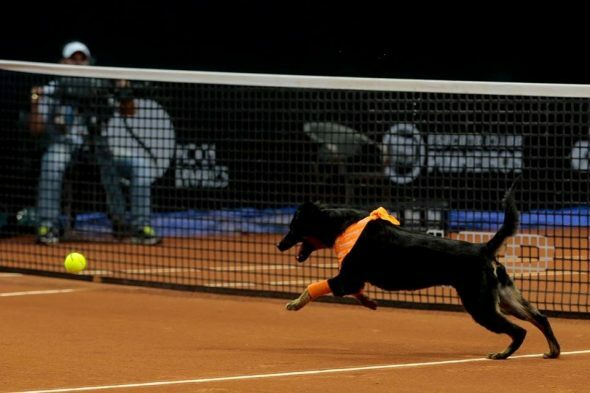 So some genius in Brazil came up with the innovative plan to train local shelter dogs to become “ball boys” at the Brazil Tennis Open in Sao Paulo! 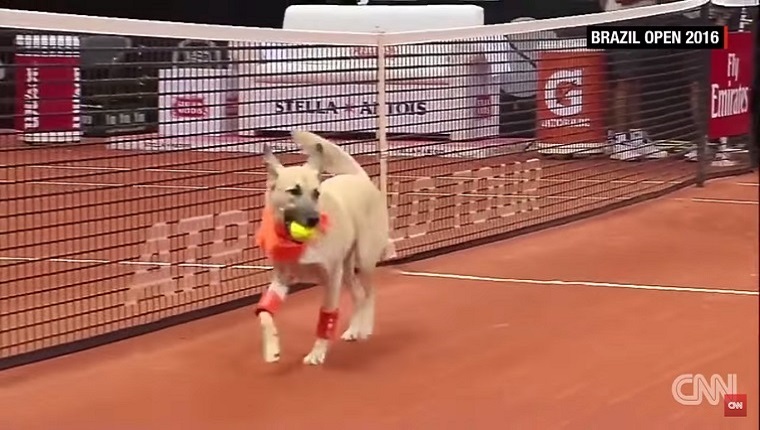 Last year saw four former street dogs employed to fetch all balls that went out of bounds or bounced into the net. 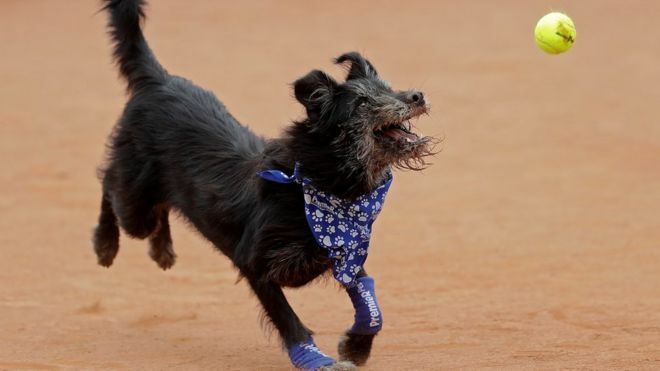 Frida, Costela, Mel, and Isabelle all came from a local shelter in Sao Paulo, Brazil, and had gone through months of rigorous training to prepare them for their moment of glory. 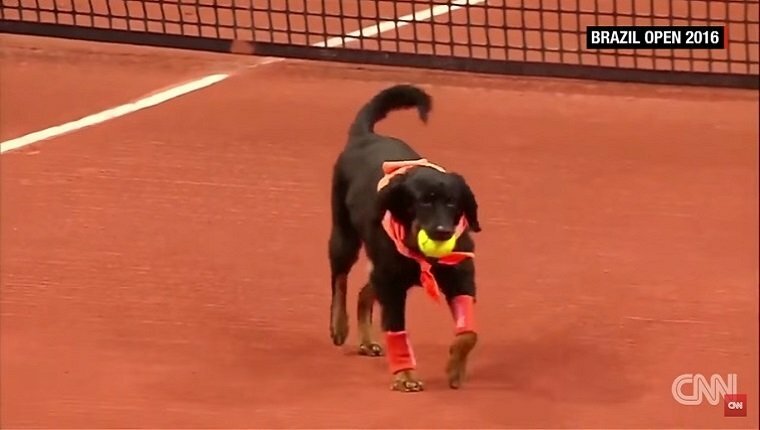 Spectators were enchanted by the pups as they snatched up tennis balls with ease and grace (though retrieving and giving them up was a bit more problematic). 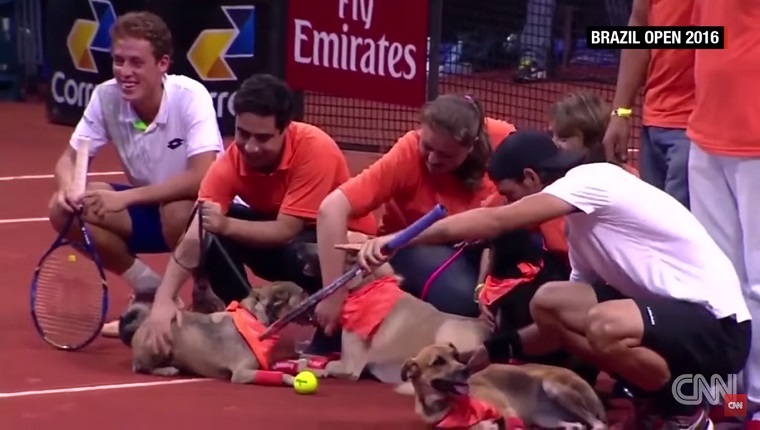 They took their dream job so seriously that the organisers of the Brazil Open once again brought doggy “ball boys/girls” to take part in the 2017 tournament. 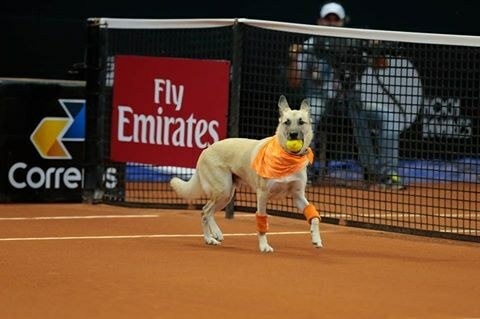 This year, six furballs Cindy, Nanda, Pretinha, Mia, Arlete and Ovelha (aged between 4 and 10) fetched balls during the warmups on the semifinal and final days, March 4-5. Not only is this one big game of fetch for dogs that are in dire need of attention and exercise, but there is a greater cause behind this fun gimmick. 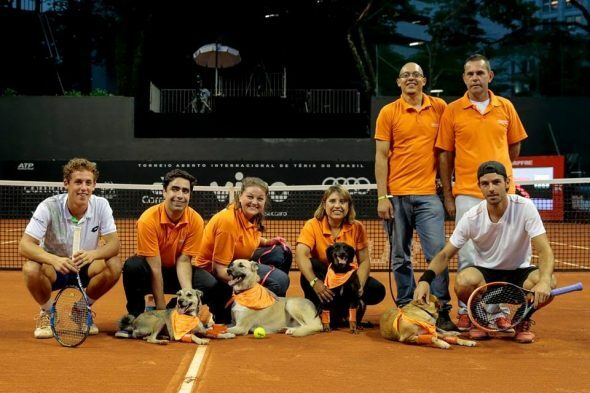 The aim was to raise awareness for shelter dogs in Brazil. All of the dogs were saved from the street and available for adoption. 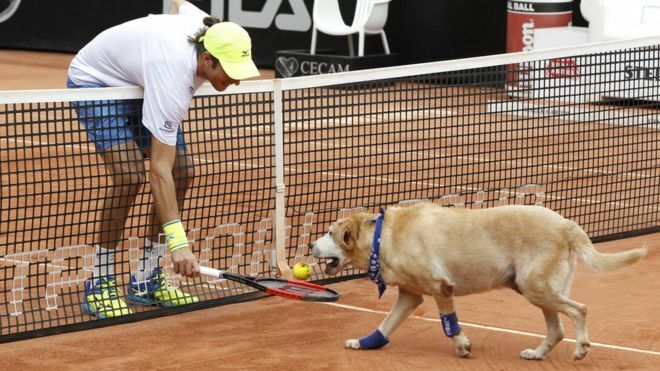 By the end of the tournament, not only did all ball boys find new homes but so did over 1000 shelter dogs linked to the tournament through local shelters. Do you like this idea? We do! 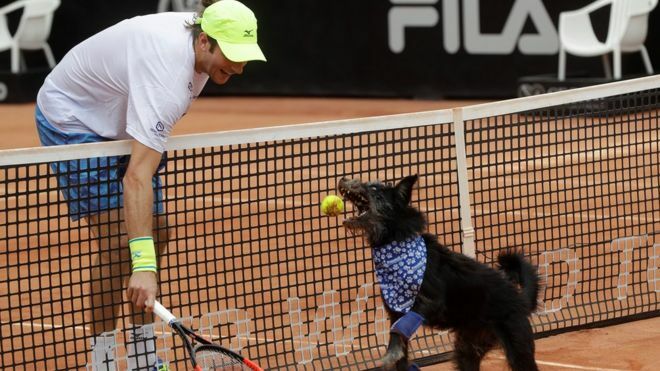 We hope that this initiative will catch on at other tennis tournaments.What other sports would you like to see shelter dogs help out with? Let us know in the comments below!